LG Air Conditioning has been on the scene for a number of years, becoming a leading brand when it comes to both domestic and commercial air conditioning units. LG are renowned for manufacturing innovative air conditioning systems for home and business, with a wide collection of LG air conditioners available through the Cooleasy online store. Every product is thoroughly considered before we add it to our list of products to ensure our customers only receive the best air conditioning systems to meet their requirements. Recognising the energy efficiency and environmental benefits of Inverter technology - All of the LG systems are now inverter types, making them more energy efficient and effective than ever before, with lower running costs, quieter compressors and fans - the LG range of units are the best in class. The stylish and sleek design of the LG units makes them the perfect addition to any home or office space which needs cooling or heating. Providing a wider operation range than regular air conditioners, LG has six different wall-mounted, split system, ducted and multi split systems to choose from. All are reverse cycle and include the ‘Active Energy Control’ feature, which allows users to set a cap on the unit’s energy consumption to improve energy efficiency. 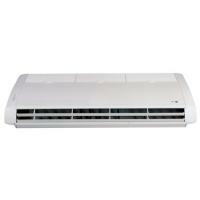 LG air conditioners also offer four-way air control – both vertical and horizontal air flow adjustment. Wi-Fi Smart Control is available with compatible models as an optional add-on. Features to look out for in particular models include sleep mode with ultra-low operating sound (19dbA), outdoor quiet mode – to reduce noise from the exterior unit – and multiple kinds of filtration and auto-cleaning systems. 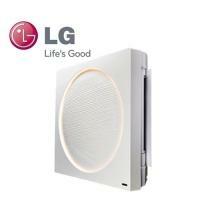 LG units can be found for under £500, with price points reaching up to over £3,000. The Cooleasy LG air conditioning range includes the ‘Artcool’ range and low wall systems, innovatively designed for conservatories and areas where mounting a unit high up on the wall is not an option. The LG Artcool air conditioner systems provide cool air to every corner of your room, with the 3 way airflow sending air quickly and efficiently in every direction. The LG Artcool product range is different from the usual air con unit, manufactured in a way that makes it look stylish enough to be the focal point of your room. Like the original Artcool, this product is designed to be more than just an air conditioner, providing you with an air-cooling system that looks attractive in a home or office environment. The Artcool Stylist is a bit more special than that of a "normal" air conditioning unit, incorporating a black mirror finish to help it look sleek and stylish. When the time comes for needing a new air conditioning system, the LG Artcool provides one of the best ways to impress anyone coming into your home or place of work. 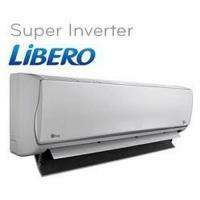 LG’s Libero air con unit is one of the most popular types of wall mounted air conditioning systems and this is probably down to their overall energy efficiency. They’re also one of the quietest unit available on the market. When it comes to choosing an air conditioner unit from Cooleasy, it's important that you consider all of the options available, along with the varying features and benefits of each unit. For example, the LG Libero comes with a built-in auto cleaning function, to help filter out impurities and create a cleaner environment. 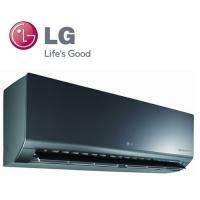 The LG Inverter Ceiling Cassette air conditioning units by LG make installing air conditioning easy. They are rather popular among those working in large office environments, due to the fact that they can run up to 16 LG air conditioning systems from one central controller. With a programme timer and ultra low noise system, it's easy to see why LG Inverter air conditioning is one of the leading choices for commercial air conditioning units. 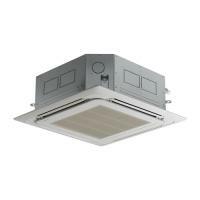 LG Under Ceiling and Suspended Systems provide inverter heat pumps, meanign they can also provide warm air as well as cool air if required. This makes them perfect for those who require an air conditioning unit that provides a high capacity air conditioning system and heat pump. The range of LG Floor Mounted Air Conditioning units we provide allow total flexibility in regards to where you’d like the system placed. Once installed they can then be moved around if you need to make space, making them an ideal choice when it comes to finding air conditioner units with flexibility. 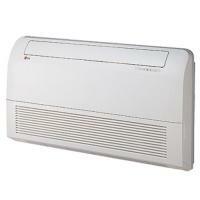 Should you require any further information, please take the time to get in touch or browse through our selection of LG air con units online. The Cooleasy team has all the necessary knowledge and experience to help you find the best air conditioning unit to suits your needs.Contact us today if you require more information relating to any of the LG air conditioners you see before you.